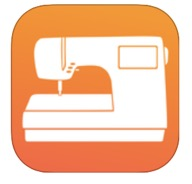 Embroidery designs can be edited not only on iPads, but on iPhones, too. On iPads the gallery and design view can be accessed in parallel, but the design view can be enlarged if necessary. Split View and Slide Over are allowing multi-tasking on iPads, e.g. working with embroidery designs while checking your favorite web site. Designs can be searched in subfolders. Please check out all changes in the version history. The free trial version runs indefinitely for viewing / managing / printing designs, only saving modifications is limited to designs with max. 1,000 stitches. This restriction can be removed instantly via In-App purchase (free for former customers of StitchBuddy HD). As a consequence StitchBuddy View was discontinued. In two new videos I'm demonstrating how to edit designs on iPhones and how to use the multitasking features on iPads.